Landscape photography is your opportunity to develop personal style. 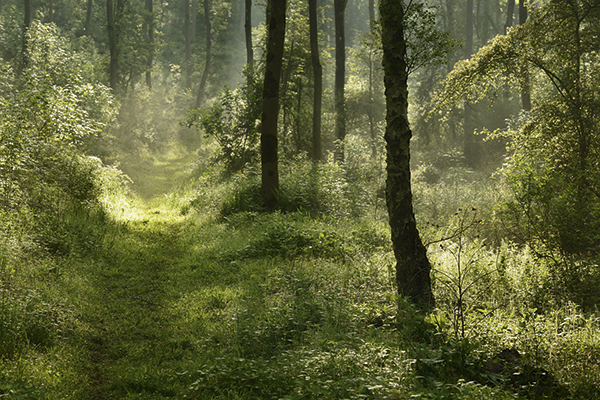 There is a well-trodden path for many landscape photographers. Once an early interest in the land and sea begins to develop, it’s perfectly natural to want to expand horizons, set about capturing iconic locations and begin building something of a portfolio. If you live in Britain, some of those locations might include the world-famous limestone arch of Durdle Door, the view along the beach to Dunstanburgh Castle, or perhaps Ashness Jetty at Derwentwater. The problem, of course, is that thousands of photographers have visited these locations before you, in all likeliness created something fairly special already, or simply enjoyed eminently more interesting weather conditions. The chances of pulling off a stunning image in one visit to any given location are incredibly low. I’ve visited some of my favourite spots up to 20 times before I captured something worthy. I remember reading Charlie Waite’s advice in this respect: ‘Every time you set out to photograph the landscape, lower your expectation.’ And he’s right, of course. While there is nothing fundamentally wrong with developing your technique by shooting what I call ‘location-centred’ landscape images, you might find that it all starts to feel a little bit hollow – and the endless road miles will probably begin to take their toll, too. In my case, an inner restlessness soon sets in. What to do? To a greater degree, I think landscape photography is your opportunity to develop something of a personal statement and show others how you see the environment rather than simply where you have been. In this respect, my lifelong love of trees eventually became an all-consuming project. Fortunately, trees grow pretty much everywhere and, critically, are as unique as a fingerprint – no longer would I be recording locations that others would immediately recognise. Instead, I have tried to capture the character, portrait, poise and soul of these complex beings in anonymous places where only other people’s imagination or memories might take them. The best part is that trees not only have an ever-changing beauty but they can also be very close to home, making them easy to get to. As with any type of subject matter, mood, timing and light can alter everything, and manipulating these to our advantage is the skill of the landscape photographer. 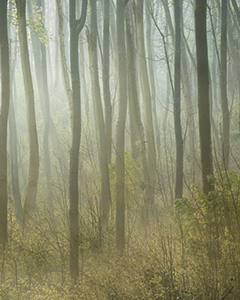 A typical British woodland scene can be truly chaotic and so some morning mist not only helps create the critical elements of atmosphere and depth, but will separate our subject from the background, ensuring we can see and focus on what’s really there. Inevitably, this means a lot of early starts, something I have adapted to because, while the shock of a 3am alarm call is soon over, there is nothing else like the experience of standing in a Cotswold forest at dawn while deer look on at you in nervous anticipation. Getting to understand an area well will mean that the advent of mist might become a lot more predictable than you think. I almost have a sixth sense for certain geography these days. Start by looking for natural bowls in the landscape, because it is here that mist is more likely to form. Rivers and other sources of moisture also contribute to such conditions. 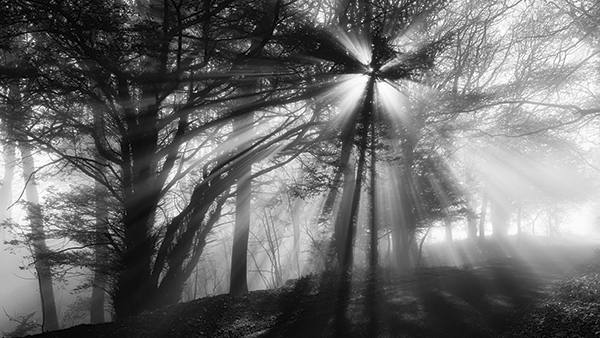 The sun’s rays can introduce a lovely ethereal quality. It may seem easy to work with a static subject, but finding new views and stories to tell will draw on your creativity. 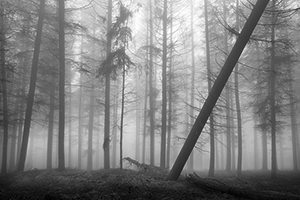 For many aspiring woodland photographers, the issue truly is seeing the wood for the trees. So what do I look for? The first thing that usually catches my attention is the quality of available light. I find scenery particularly compelling if it has a suggestive path of light through it, or a hole in the canopy where beams punch downwards like stage lights. Either way, you need something to help guide the viewer, especially with what can be many competing elements in a frame. In this respect, I sometimes try to ensure that there is either strong dark subject matter to the edge of the frame or perhaps a gap towards the centre where a light source commands more of the scene and thus pulls in the eye. Alternatively, I might look for side light, which will ensure that three-dimensional shapes rather than silhouettes are rendered along with texture and detail through the formation of micro-shadows. The right conditions can make all the difference to a successful shot or not. 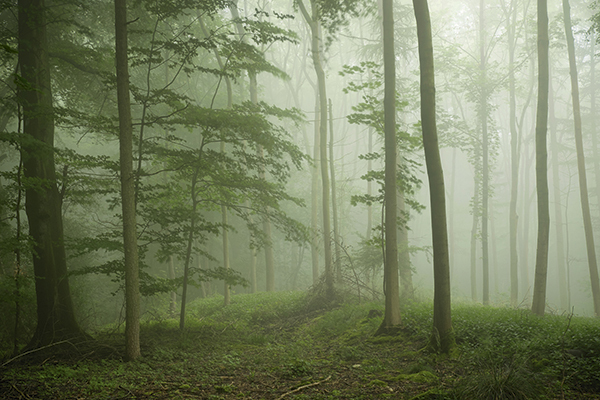 A particular compositional approach of mine is to try to capture the relationships between trees in a wood. To this end, I rarely photograph lone trees, preferring instead to consider the interaction between groups, almost as if they were a family. As I sit here now, assessing many of my photographs, I realise that I also rarely shoot trees with their full canopy or with much sky in the frame, choosing instead to fill the entire viewfinder with a more abstract view. While some photographers might question approaches like these, I prefer to get in tight to my subject, ensuring that the viewer is right there with me in the heart of the forest. To achieve all of this, I heavily favour a telephoto lens such as my Nikon 70-200mm f/2.8. This zoom, together with my tilt-shift lenses, are my go-to options. I work hard to keep my verticals straight in a scene, and telephoto focal lengths or tilt-shift lenses are pretty much essential kit in achieving that. In addition, if you haven’t got the natural element of mist to ensure subject separation, dropping your aperture to f/4 or f/2.8 at telephoto lengths will help to ensure that the background softens considerably. Not all landscape photography needs to be shot at f/16 with endless depth of field! Shooting with a telephoto lens wide open can produce some lovely results. 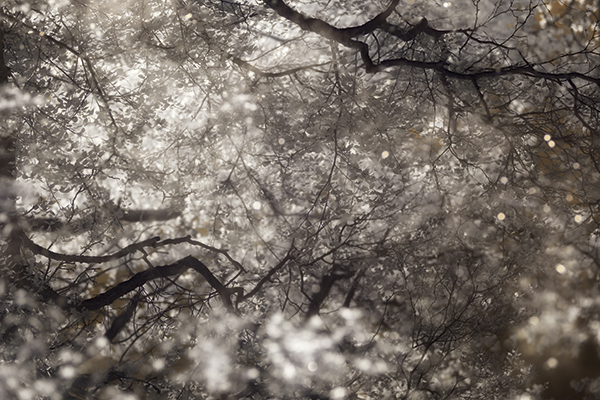 ‘Blackwater VII’: pools of water in a local woodland. I’ve been known to break with what many might consider to be conventional techniques in landscape photography and look for something different. In my view, this is an important part of developing a photographer’s artistic vision. I established a new project earlier this year titled Backwater. 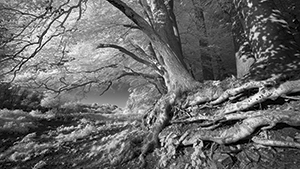 For this, I looked specifically for pools of water in local woodland where I could combine my love of trees with reflections, infrared and a narrow depth of field, in order to develop something that was visually interesting and as unusual as possible. This approach really fired my enthusiasm and I was quickly hooked by these more abstract images that resulted, such as the one above, which hopefully show that not every photographic method and result has necessarily been considered or done to death. Some of these photographs I likened to mini galaxies of life, and I used that imagination to drive the idea. If I said, ‘Think of a tree,’ there is a picture almost everyone will have in their mind: probably a straight trunk with branches and leaves, a view anyone could identify with. Trying to think and see outside of that depiction can actually be really challenging, but once you do achieve it, you open up a world of possibilities to create something that’s photographically different. Lens manufacturer Samyang makes a 24mm tilt-shift lens that is highly thought of, which I could find new for about £700. Cheaper still, at around £200, are tilt-shift adapters, which you can fit to your existing lenses, though you do start to descend into a more random world with metering and focus confirmation with this option. Getting really nice results needn’t all be about the most expensive DSLRs either. The image below was taken with a Fuji X-E2 and 18-55mm f/2.8-4 lens, which I bought secondhand online for £620. The telephoto end of the zoom is the equivalent of an 85mm lens on full-frame, and is more than enough to keep those all-important verticals from distorting. 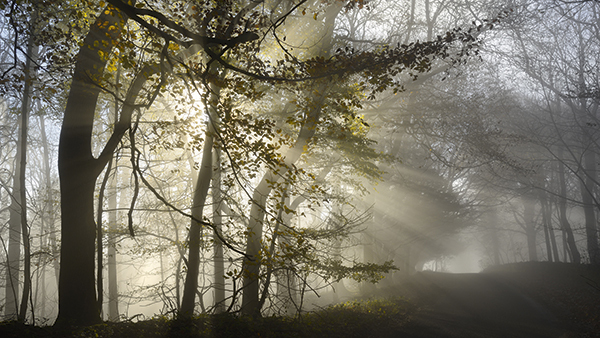 You don’t need a bag full of expensive kit to shoot woodlands successfully. Some people might think nothing’s worth shooting in the woods until autumn arrives in all its colourful glory. But the mood and character of trees is in constant flux, and you can unleash all manner of creative approaches at any time of year. Try long exposures to elicit a feeling of movement, use creative blur by selecting a narrow depth of field, pick out individual unique features in the forest, or take in a wider view. The options are endless. 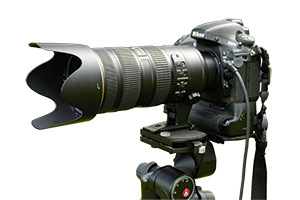 Are you struggling for something to shoot in summer? Infrared demands lots of sun, so try an infrared filter like the Hoya R72 and experiment. I’ve found it a very attractive and challenging alternative to conventional landscape photography. It may not be immediately noticeable but this is a blended multiple exposure. The effect can be achieved in-camera or by blending layers in Photoshop. I wanted to create an almost impenetrable feel; it’s not something I use often but it can be very effective if done with subtlety. 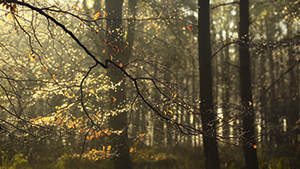 Early rain had left the branches of every tree covered in water droplets and when the light shone through, the woodland lit up with a million jewels. By using a long focal length and f/2.8 aperture, the soft bokeh turned the droplets into thousands of tiny highlights in the frame. During the past two years, I’ve developed a strong love of infrared, lately using a fully converted body. It’s an approach that is perfect for summer days with harsh light, and works best around green foliage where dynamic contrasts can be developed in the image. I use creative blur as a method of really hammering home where I want my viewer to look in the photograph. Using the tilt function of tilt-shift lenses at wide apertures is fantastic for this and allows you to plant a horizontal or vertical plane of focus where it has most impact. There’s usually something out of place in even the most ordered of woods, so finding and developing those features as the ‘story’ can make for very striking imagery. I used to find the imperfection of landscapes problematic in my mind; now I do everything I can to seek it out. 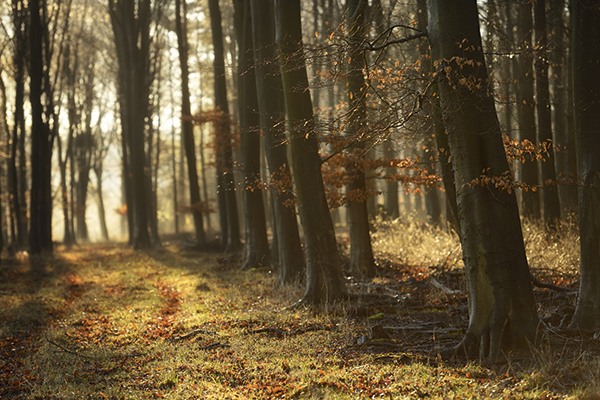 A tilt-shift lens comes into its own for woodland photography. Keeping all those vertical lines vertical is preferable to using a standard wideangle lens, where distortions are likely. My other lens recommendation is my 70-200mm f/2.8. Again, verticals remain vertical and, at wider apertures, it allows subject separation, too. 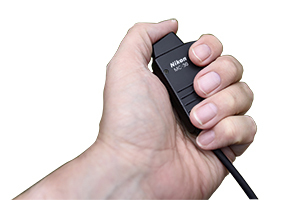 Shooting low ISO images using telephoto focal lengths in the gloom means using a cable release is crucial in order to avoid vibrations. 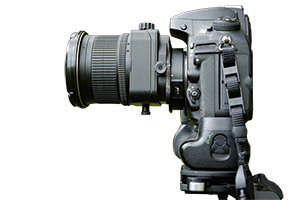 I couldn’t shoot without my Manfrotto 410 geared tripod head. 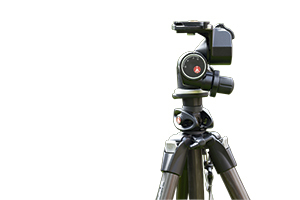 It allows fine adjustments to be made easily with heavy DSLR kit on top. A tripod is an absolute must in the woods. 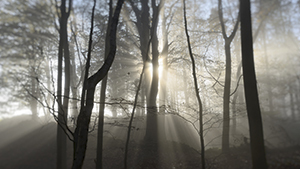 Forests can often be dark, shaded places, even with full sun. 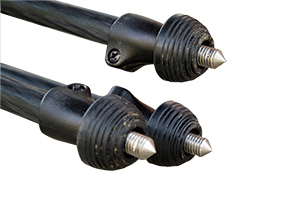 You’ll want a tripod with spiked feet for a stable platform.